Size Available: 4mm / 6mm / 8mm / 10mm / 12mm. 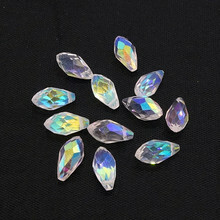 Note: All stones are unique and may vary from the one shown in the picture..
Use: for earrings, necklaces and hand ornaments, jewelry design.. Loose spacer beads for jewelry making , necklace, bracelet , earrings, etc..
Parameters: Size:Selectable Length:>=15"(38CM)/Full length,Enough to finish a necklace with few findings. Material:Stone Natural:Natural / Dyed From Natural Stone (See Description) Shape:Round Color:See image Surface:Polished Smooth Surface Magnetic:NO magnetic Hole Size:1mm - 1.2mm Hole Style:Whole Drilling, use for beads Sell unit:One Strand inside opp bag Theme:Jewelry and Crafts Making Beads / Findings Notice: There may be a little difference between the picture and actual object due to the shooting and lighting problem, please a little understanding. Any further problems about the item please contact us directly from mail. We will reply to you within 24 hours (working days) since our jet leg and help to resolve it in a proper way! Thanks for your understanding! 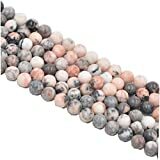 Wholesale 4 6 8 10mm Natural Round Rose Gold Silver Hematite Stones Loose Beads for Diy Jewelry Making Bracelet Accessories 15"
Hole on the top of Beads. 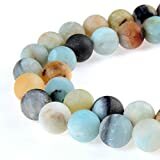 Condition: Natural Matte Colorful Amazonite Round Semi-Finished Product Gemstone Beads-Free Gift Is Included.. Description:6mm,8mm,10mm Nice beads for necklace,Bracelets and earring ,DIY jewelry making design..
Bead Size:8mm For 1 Strand per Bag Approxi 15.5 inch 48-50pcs.. 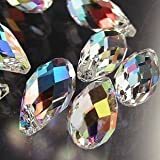 Note: All stones are unique and may vary from the one shown in the picture.Thank you for your understanding..
Return Policy: All items are checked prior to dispatch to ensure it is in perfect condition, however These packs of beads carry a 60-day satisfaction guarantee. No questions will be asked if you are not completely satisfied with the product and want to return it. We only provide our 60-day satisfaction guarantee to the product sold by seller.. Size 4mm/6mm/8mm/10mm/12mm- About PLTbeads For more than 10 years, PLT is specialized in creating and designing various jewelries to satisfy every customer' s need. 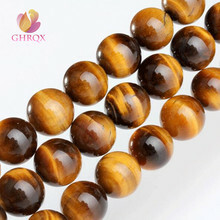 Our products include necklaces,bracelets, beads,glass pearls,natural pearl pendants semi-finished product finished product gemstone and so on. Our team of designers and manufacturers deliver the pieces you want to our quality levels and for our great price. Find a special beads for your DIY bracelets, necklaces and earrings jewelry making with jewelry from PLTbeads Store! It deserves your own! Now, our products are exported to more than 20 countries, such as America, Europe,Middle East and so on. Q&A: 1. About how many beads are on a strand? 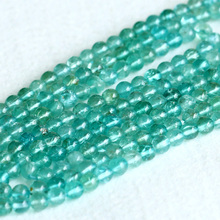 A.4mm-98/100pcs/strand; 6mm-63/65pcs/strand;8mm-48/50pcs/strand;10mm-38/40pcs/strand;1 Strand (approx 15.5-16 inches) 2.Why the Gemstone Beads I received is larger / smaller? A: Since the size above is measured by hand, the size of the actual item you received could be slight different from the size above. 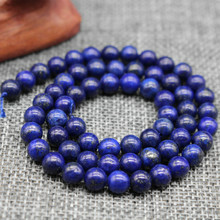 All stone beads are unique and genuine ,Size may be a little different from the one shown in the picture. 3.Why the color of the Gemstone I received is different from the pictures? A: Due to lighting effects, monitor's brightness / contrast settings etc, there could be some slight differences in the color tone of the pictures and the actual item. 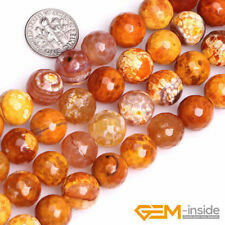 All stone beads are unique and genuine ,color may be a little different from the one shown in the picture. For any quality issue of the item, please contact the seller directly and we will assist you resolve any issue. Thank you for your kindness and shopping. Wood loose mixed painted color beads. 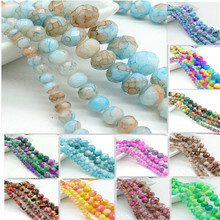 Package contains 300pcs 12mm painted pattern barrel wooden beads. Wooden beads size: diameter approx. 10-12mm, hole approx. 4mm. 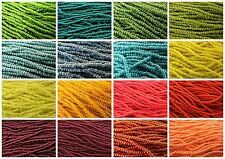 Great for making bracelets and necklace, home improvement projects, and chunky hemp jewelry.. 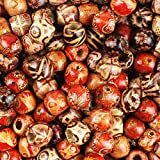 These beads are perfect for projects when you're going for a handcrafted, earthy, natural or exotic look..
Material: wood Wooden beads size: diameter approx. 10-12mm, hole approx. 4mm Package contains: 1 pack wooden beads Note: Please understand there may be ± 2 number of deviations duo to manual weighing packaging. The size is of manual measurement, so a slight size error may occur. Please understand that the actual product color may be slightly different from the pictures, duo to the lighting effect and the brightness/contrast setting of your monitor. If you have any questions, please contact us, and we will try to provide satisfactory service to you.